Select the lesson you want to export. 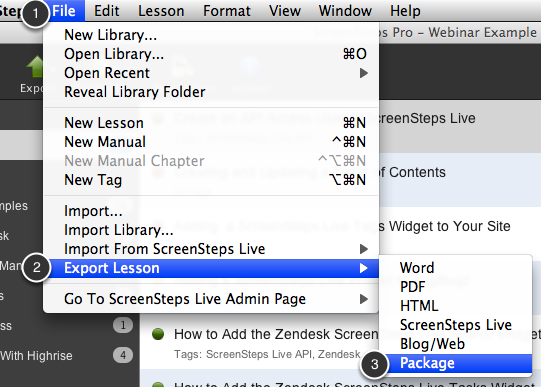 You can shift click (Windows or Mac) to select multiple contiguous lessons. 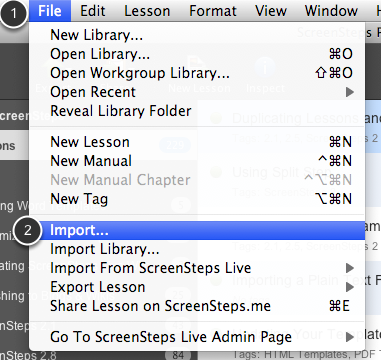 You can cmd-click on Mac to select multiple non contiguous lessons. 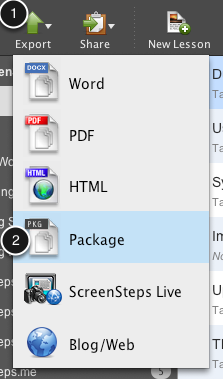 From the Export menu, select Package. Alternatively you can use the File menu. After selecting Package, choose a place to save it on your hard drive and give it a name. Once it is saved you can email it to a colleague. If you receive a package just select File > Import. \ Choose the package file from your hard drive. It will be imported into your library. Next: How do I Resize an Image Without Resizing Annotations?